The template to use for this application. You can choose either a default Scala application, a default Java application, or an empty application. 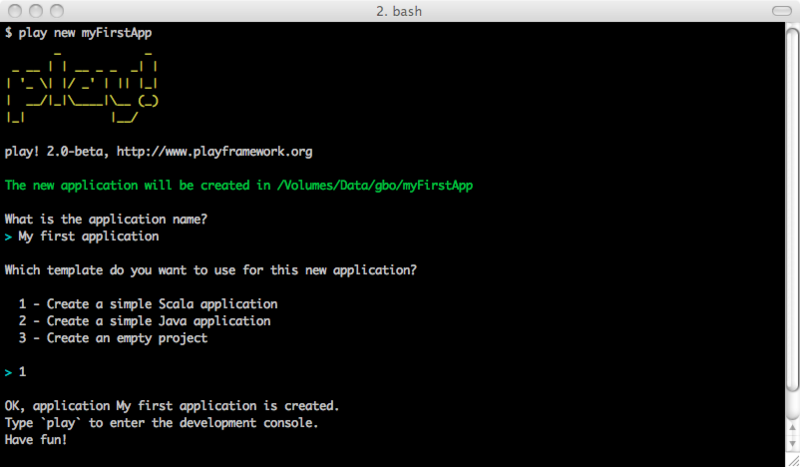 Once the application has been created you can use the play command again to enter the Play 2.0 console . First install sbt 0.11.2 if needed.